Keraleeya Ayurveda Samajam Hospital and Research Centre situated in a calm and serene location in Shornur, Kerala on the banks of Bharathapuzha which spreads over 8 acres of land is a synonym of genuine and classical Ayurvedic treatments and medicines, founded by Shri. K.R. Padmanabha Iyer in the year 1913 registered under the Charitable Act XXI of 1860. 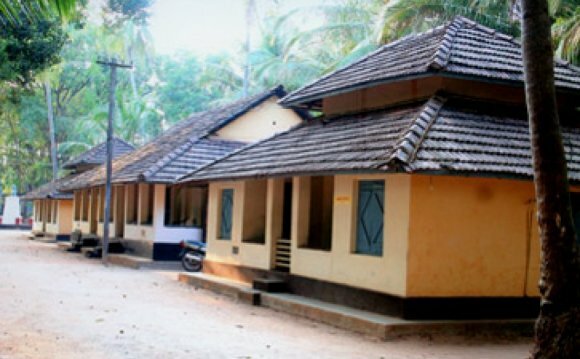 It is a fact that this centre has been very keen in keeping up the wisdom of tradition in its real sense for over the past years to which the Ashtavaidyas and exceptionally gifted personalities of Ayurveda still contribute enormously and the development of this institution is quite unique in the history of Ayurveda in Kerala. This is one of the best health sanitoriums in India. As part of its expansion programme aiming at extending its service to the maximum people, it has already opened seven branches. This one in Andaman is one among the seven and is functioning here for the last one year. Along with the sales of genuine Ayurvedic medicines, we are also practicing Keraleeya Ayurvedic Panchakarma Treatment. Dr. Rasheed T.H. and Dr. Haseena Rasheed (both are Authorised Medical Attendants) take care of the patients. The male and female therapists have undergone an intensive training in all Panchakarma treatment in our mother hospital in Kerala and are appointed and sent from there. Considering the growing response from the islanders and counting this system to be the need of the hour, the Administration has allotted 500 sqmt. of land for constructing a hospital-the preliminary work of which is going on in full swing. We are also proud to say that we are the only full fledged Ayurvedic Panchakarma treatment centre in the island. With the fame of Ayurveda spreading worldwide (as part of the rigorous search for an alternative medicine), tourists visiting the country are keen to know and feel this natural form of soothing. Since our beginning we have been doing our best to promote the tourism here with the help of the knowledge, experience and services that we inherited. A feel of the treatment in this calm and serene atmosphere along with the sweet memories of the beautiful spots would leave any tourist rejuvenated-both physically and mentally.